This product requires the base game Port Royale 3 Collection. Dawn of Pirates offers you a whole new singleplayer-campaign, in which you can make some trouble in the Caribbean as a pirate. You will start your raids from your own hideout but cities may be restricted to you. Your aim in Dawn of Pirates is to become the most notorious pirate in the Caribbean by raiding and plundering. Depending on how fast and successful you will complete this campaign you will gain a high score which you then can compare with other players using an online ranking list. Arrr, what are you waiting for? Set sail! 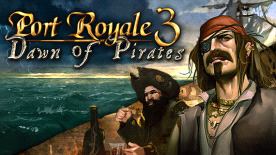 Port Royale is required to play this DLC.